Me, Lou Ferrigno and the Stretch Incredible Hulk! Solve the Riddel of the Stretch! and win a Vintage Mint Stretch X Ray! Oooze It or Lose It ! Within the Stretch Kingdom there remain only a very limited number of Stretches that are stuggling to survive the careless neglect and torture of their owners.These few remaining Stretches to this day are facing declining numbers rotting away in hot attics or freezing in garage lofts.Some are even found pristine and then Stretched to their death by some perfect fool.On the verge of extinction many Great Stretch Figures are quickly approaching their demise to the sound of the Stretch Kingdoms beating drums of death. Here you will find an estimated account for the number of remaining stretches left in existence. These are a very accurate estimates derived from many years of research as an avid Stretch Armstrong Collector as well as using a Mathimatical Formula to Project these Estimated numbers.Keep in mind that the original production numbers were in the Thousands making all the vintage stretches extremely scarce and rare. These estimates include Stretches found in mint as well as extremely bad condition, making the Mint Stretches estimated numbers much lower than the numbers stated. 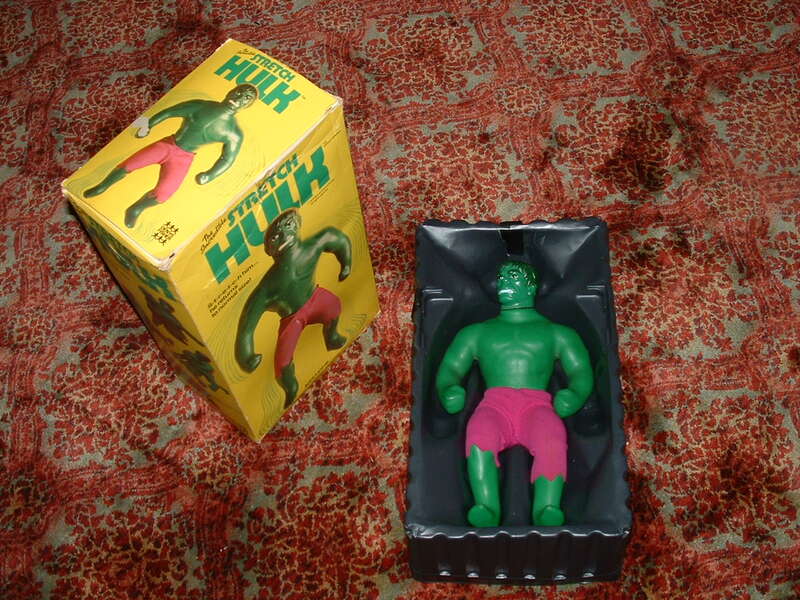 The Denys Fisher Stretch Incredible Hulk is one of the most outstanding stretches of all time. Produced and sold exclusively in the United Kingdom in a very Limited quantity, only 15 of these babies are known to exist today and only 7 of them are mint. 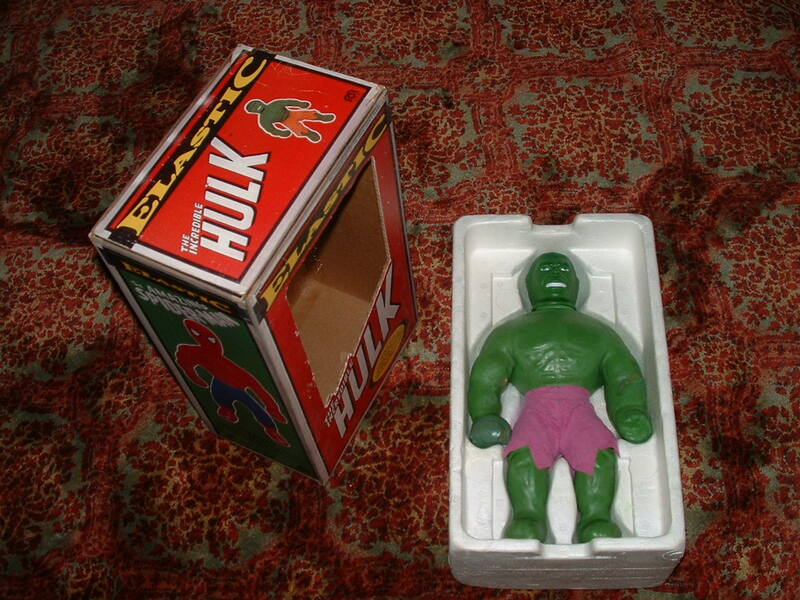 The estimated number of these Hulks remaining in existence is 15 to 27. A very interesting and great stretch specimen I must say. 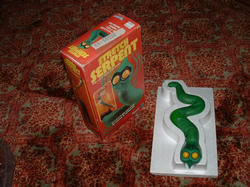 The Kenner Stretch Serpent also known as Cecil The Stretch Sea Serpent is extremely rare.The Serpents known to exist number is currently set at only 2. 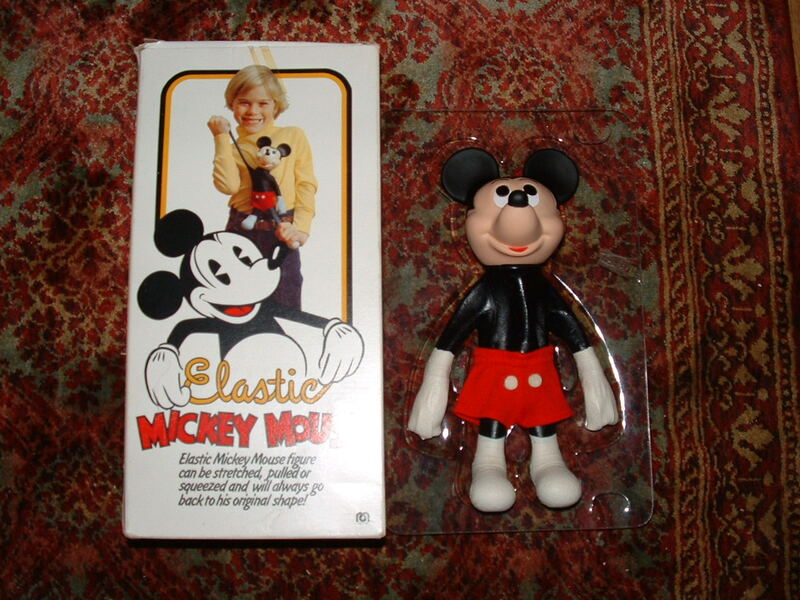 Produced at the end of the stretch era, most were destroyed and sent back to Kenner. The most unique of all the Stretches, the Serpents estimated count is set at 3 to 4 Again I lean toward the lower number due to the only 2 Serpents found in the past 7 years, knowing they were thrown or returned to Kenner for credit from the department stores, and verifying its scarcity by speaking with other collectors. The Serpent is truley one of the top 5 most immpossible stretches to find . What can I say about this most awsome of Stretches. 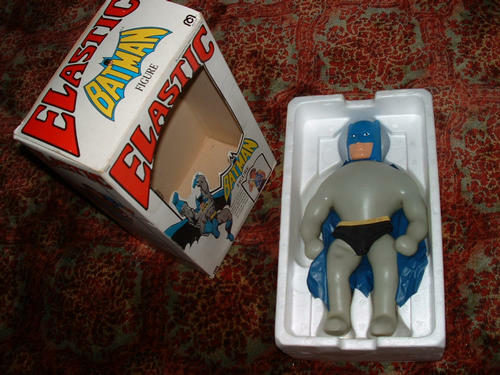 The great Mego Elastic Batman topped out at over $15,000 bucks on ebay in the 3rd quarter of 2006. I managed to purchase this fine specimen through much contravercy with other bidders. The current confirmed known to exist number for Elastic Batman is 2. Due to its extreme scarcity as well as the poor condition many of the megos are found in, the estimated number left in existence is possibly 4. It is debatable but Batman is currently the most valuable stretch figure in existence. The Very First of all the Stretch Figures. 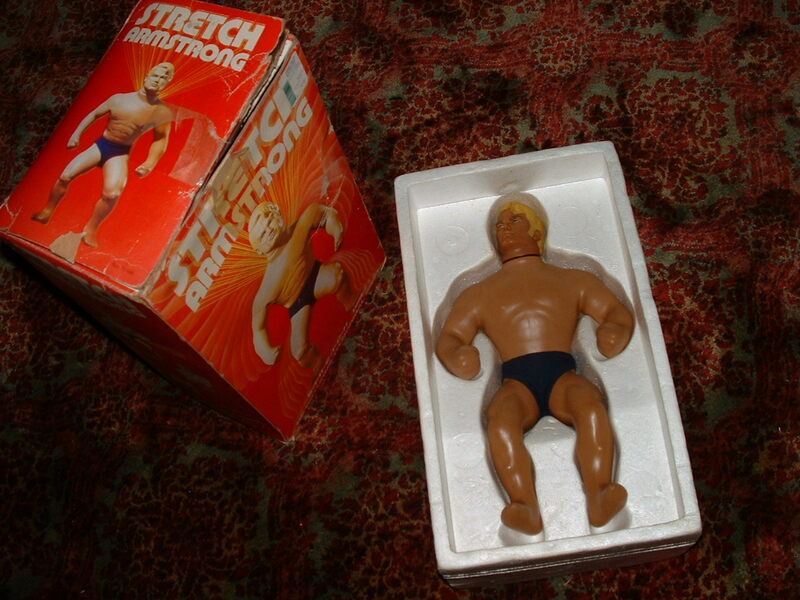 Produced in a quantity of 40,000 in the United States by Kenner in the Bicentennial year of our Great Country, Stretch Armstrong remains one of the true icons of Americas favorite toys. A very difficult Stretch Figure to attain in fare to mint condition because the Armstrongs were the most played with of all the Stretch Figures. The current known to exist number for Armstrong is set at about 72 and slowly climbing. About 80% of these Armstrongs are in poor to extremely bad condition leaving the actual known to exist count of the fare to mint Armstrong Figures at about 35. The estimated total number of Stretch Armstrongs in existence today in any condition is about 200 to 300. 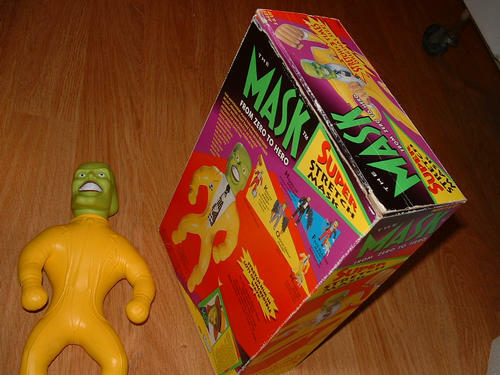 The Super Stretch Mask prototype Stretch Figure was produced basically as an Idea, and proposed to the upper executives at Kenner/ Hasbro. Both Kenner and Hasbro have their names on the box which are actually one in the same now because kenner bought out Hasbro. This is one stretch that sadly never made it to a full production run which makes these Masks Super Duper Rare. How rare you ask? There is currently a known to exist number of 7. I persoanally own 6 of them. Produced in plain yellow and Shirt and Tie version as depicted on the box. There is only one known figure in existence with the final shirt pocket painted on it. This complete Mask was recently discovered at a Florida flea market.The Total Estimated number left in existence of the Super Stretch Mask is 7 to 25. There were said to have been 10 to 50 of the Prototype Mask Figures produced.These numbers came straight out of the Hasbro employees mouth who worked on their production in 1992. This freakishly and Insanely Rare Mego Elastic PLasticman Stretch Figure has become the most elusive of all the stretch figures. 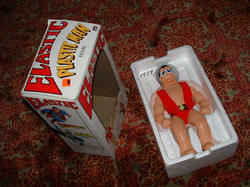 Because of the Kenner Mego Lawsute which haulted production,Mego produced the Plasticman in the fewest quantities compared to the other elastics which is why its so rare. 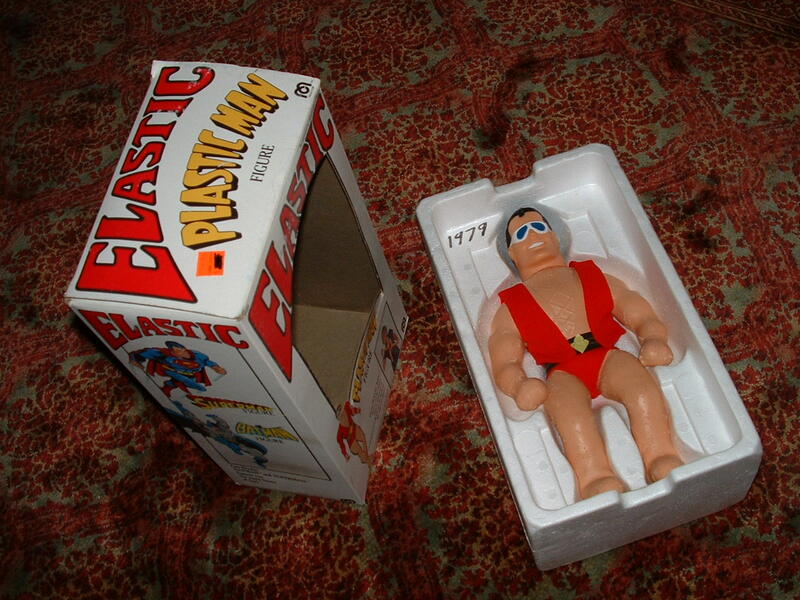 It was also the last prodiced of all the Mego Elastic Superheroes along with the Hulk.In speaking with many other collectors I have yet to come across anyone who has even seen another Plasticman besides mine. Current Plasticmen known to exist, 1. Estimated PLasticmen in existence, 1 to 3. Maybe? The Mego Elastic Incredible Hulk is yet another very scarce Stretch. The Hulk was one of the final Elastic Figures repeased while all the other mego elastics were already being sold on store shelves. One of the rarest of the Elastics as well as in the entire stretch Kingdom. Only 5 Hulks have appeared on ebay in 7 years with a current known to exist count of only 9 and an estimated remaining number in existence of 15 to 18 . If you do find a Hulk, you better kiss it. 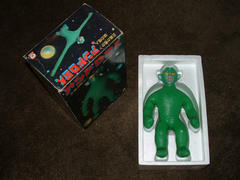 The Tsukuda Stretch Monster produced only in Japan is very difficult to find. 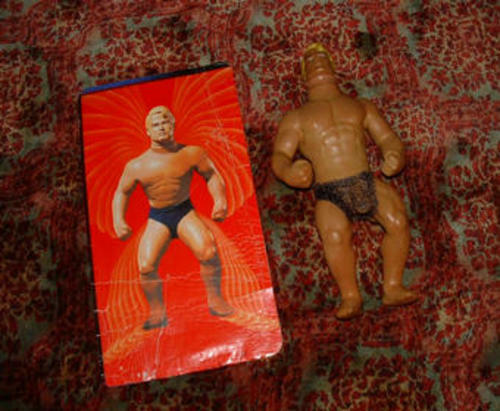 These Monsters only recently became available due to the awareness of Stretch Armstrong World Website which attracted a Japenese collector.This collector found only a few of these Monsters. You may see one on ebay but I really believe they will soon vanish with only a lingering resale now and then of the same 10 to 15 figures.With only about 10 currently known to exist, the Japenese Monster is one of the greats in the Kingdom of Stretches.The Estimated Remaining count comes in at 10 to 25. This El Hombre Elastico is the only known example at the present time here in the United States. I would say that there is most likely not many left due to the high temperatures in Mexico that most likely caused the syrup to ferment and destroyed them. A very very rare stretch figure that may exist in some numbers in Mexico. Made by Lili Ledy as the Mexican version of our U.S. 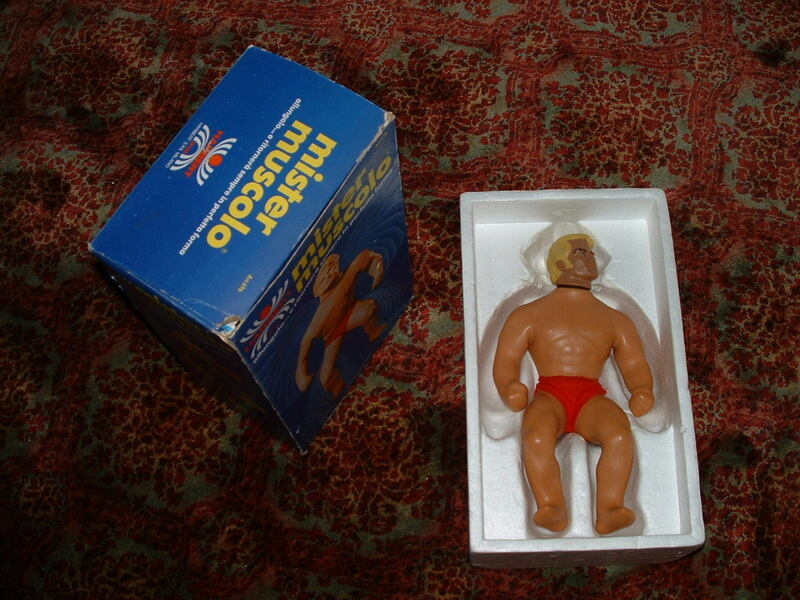 Stretch Armstrong. This Mex Stretch has unusally shiney smooth skin unlike its U.S. cousin Kenner Stretch. El Hombre has a currently known to exist number of 1 and 1 to 4 are estimated to stll exist. 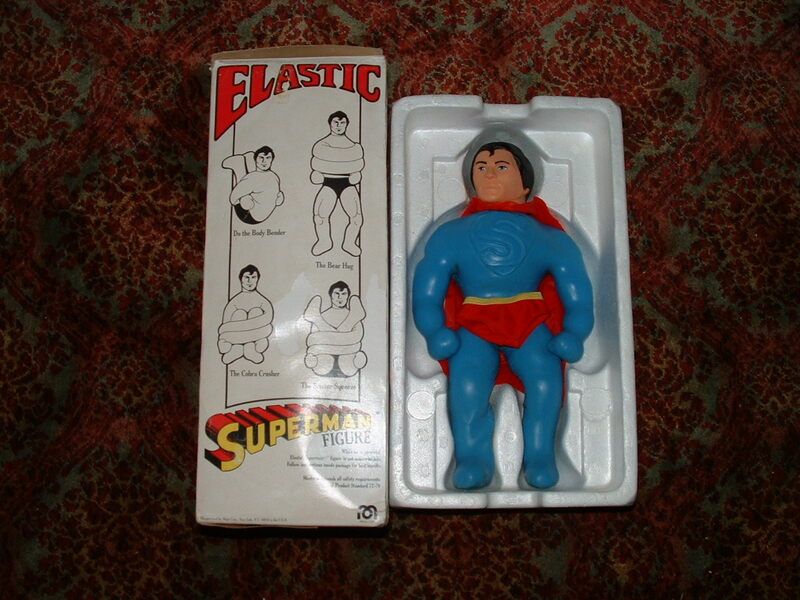 Yes, all the Mego Elastics are of the rarest stretches. 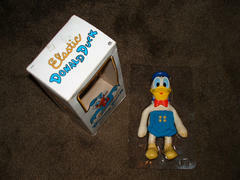 But the Mego Elastic Donald Duck, as well as the Mickey Mouse and Casper are extremely scarce to extinced. 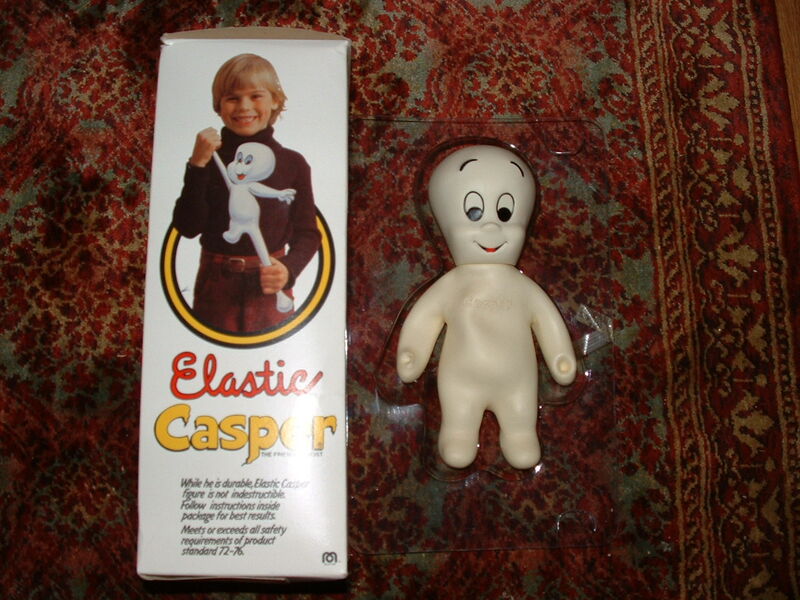 With Only 2 known Donalds, 3 Known Mickeys and only 1 known Casper. I just cannot stress just how rare this Stretch Trio is.The Mego Trio's estimated number still remaining is 5 to 10 as a very generous estimate. 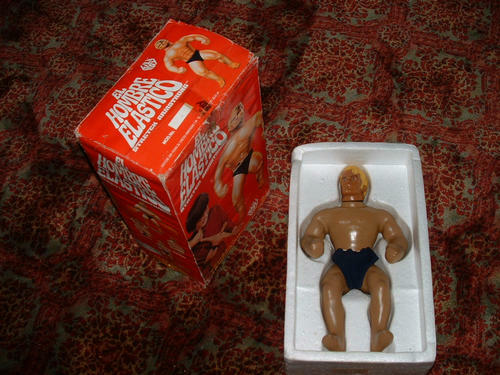 Released in Italy 1 year after the original Kenner Stretch Armstrong the Italian made Mister Muscolo is one of the finest quality stretches. 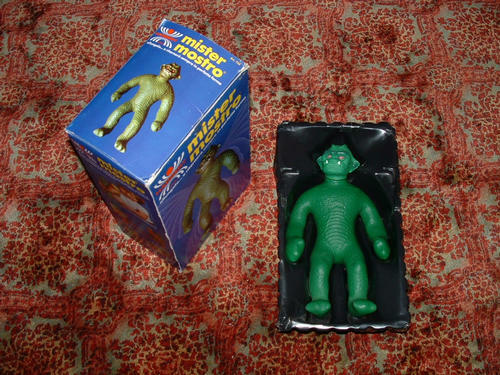 Made with a very light color latex and Preserved in a pristine state, Mister Muscolo shown here is one of the only two known examples to date. The Only Armstrong Figure with unique Red Shorts, The Muscolo's estimated remaining number is 3to 14. and only found in Italy. The Mr X by Tsukuda in Japan was named Mr X because this translated much easier than Stretch Armstrong in the Japenese language. These X's recently surfaced in late 2006. Found by a collector in unopened original brown cases of 4 count. All of these X's were found in absolutely mint and still stretchable condition due to the fine latex recipe Tsukuda used.A few Mr Xs did recently show up for sale on ebay however some of these are resales of last years origianls.This being said, the remaining estimate of X's left today is is set at a bit more generous number of 30 to 40. 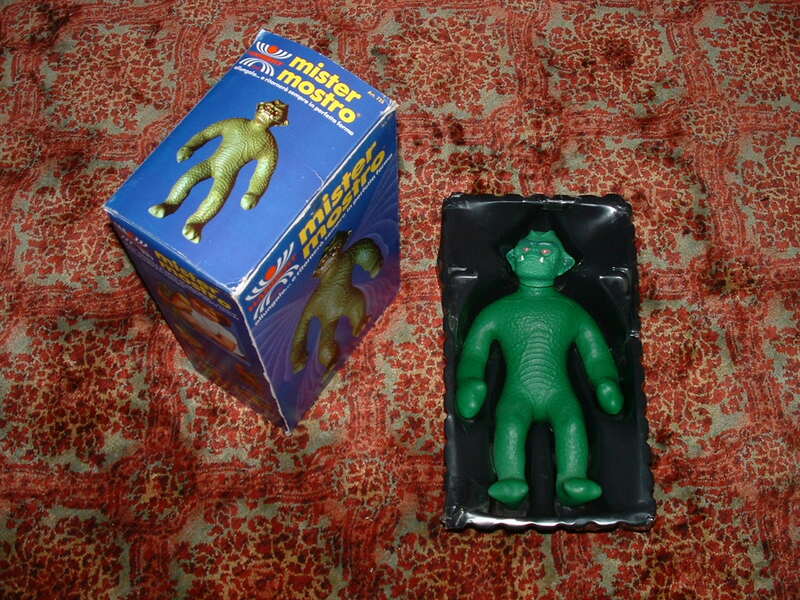 The Italian release Stretch Monster named in Italian as Mister Mostro is one of the best made Stretch Figures having very supple deep green skin the likes of the Mexican Monster, El Monsturo Elastico.If you can find one in mint condition. With only 7 of them showing up on ebay in 2005 and 2006,The Mostro seems to have diminished in their availability. If you dont have a Mostro you may still get another chance, however they are not showing up anymore. With only 14 Mostros seen to date,these may be the majority of their existing numbers. The Most awsome Mister Mostro's Estimated remaining number is 25 to 40. most of them are in Italy.